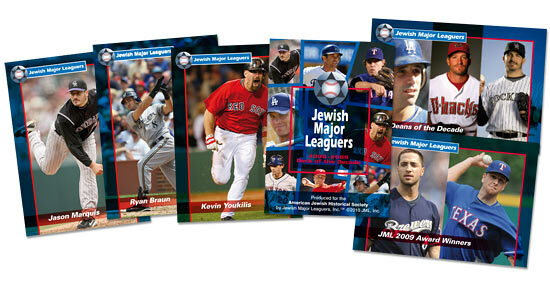 During the 2013 season, there were sixteen Jewish baseball players in the big leagues. They are Ryan Braun, Craig Breslow, Ike Davis, Scott Feldman, Nate Freiman, Sam Fuld, Ryan Kalish, Ian Kinsler, Ryan Lavarnway, Boston Red Sox, Jason Marquis, Kevin Pillar, Josh Satin, Michael Schwimer, Danny Valencia, Kevin Youkilis and Josh Zeid. Paul Goldschmidt, Jason Kipnis and Dylan Axelrod are prominent current Major League ball players who have Jewish ancestry but do not consider themselves to be Jewish. There have been approximately one hundred and sixty Jewish Major League players throughout baseball history. It is unclear who the first Jewish baseball player was — as it is unclear what constituted the Major Leagues in hardball’s infancy. But the first prominent Jewish baseball player was Lipman Pike, a second baseman and outfielder in the 1860s and 1870s. PIke was one of the first baseball players to get paid, although his twenty dollar a week salary couldn’t even cover today’s player’s daily clubhouse dues. 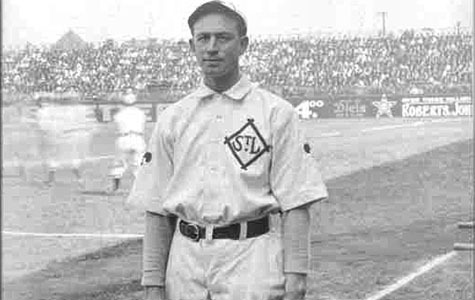 Barney Pelty was another early Jewish baseball star, posting a 1.59 ERA in 1906 for the St. Louis Browns. The “Yiddish Curver”s career ERA was 2.63, 64th best all-time and better than any Jewish player, including Sandy Koufax. However Pelty was almost always on bad teams and finished below .500 for his career. Hank Greenberg, who made his major league debut in 1930 at age nineteen, was the first Jewish baseball superstar. Despite not being a practicing Jew the Detroit Tiger first baseman endeared himself to the Jewish community by refusing to play on Yom Kippur. One of the most feared power hitter of his of his generation, Greenberg won two MVPs and finished in the top three in MVP voting four times between 1935 and 1940. In 1938 he threatened Babe Ruth’s all-time home run record of 60. But he ended the season two homers short of the Bambino’s mark in part because pitchers began pitching around him in August. Some have attributed this treatment to the antisemitism of the time, arguing that Greenberg wasn’t getting any pitches to hit because many in baseball didn’t want to see a Jew own one of the game’s most important record. It wasn’t known at the time, but there was another Jewish Hall of Famer who played during Greenberg’s era. 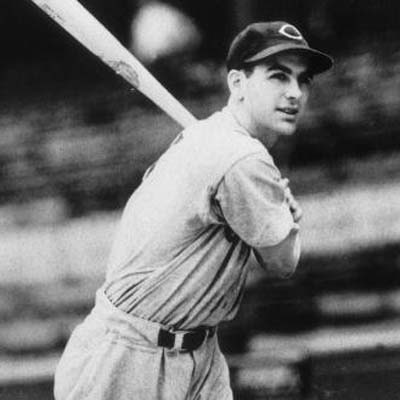 Lou Boudreau racked up seven all-star appearances and won a MVP during the forties as the player/manager of the Cleveland Indians. It was always assumed that Boudreau was French Catholic, but it was revealed after his baseball career that his mother had been a practicing Jew, making him Jewish under Jewish law. The next Jewish MVP winner would by Al Rosen, who was American League Most Valuable Player in 1953. The Cleveland Indians’ third baseman was one of the better player of the first half of the 1950s, twice leading the league in home runs, RBIs and total bases during that time period. The former amateur boxer also had a quick temper and was known for physically challenging any opponent who insulted his religion. A bad back began to slow Rosen in his late twenties and forced his retirement at age 32. Not long after Rosen, another Jewish superstar emerged. And this one would go on to become the most famous Jewish baseball player of all. Actually, Sandy Koufax’s Major League career got off to a pretty inauspicious start. He was a bonus baby, meaning the Brooklyn Dodgers had to keep him on their Major League roster for two years before sending him to the minors. Koufax’s first season in 1955 as a 19 year old was quite good, but in 1956 he started to display control problems that would plague him and render him ineffective for most of the next five years of his career. But 1961 he began to clear that all up and soon after he proceeded to go on what many think is the greatest run of pitching in Major League history. Between 1963 and 1966 Koufax won three Cy Youngs and led the Dodgers to three World Series, including two championships..
Koufax’s signature achievement came in the 1965 World Series. The left-hander declined to pitch game one against the Minnesota Twins because it fell on Yom Kippur, the holiest day in the Jewish religion. Nevertheless he still managed to start three games of the series, including a game seven shutout on two days rest that gave the Dodgers the title. For the entire series Koufax pitched 24 innings, gave up one earned run and struck out 29. 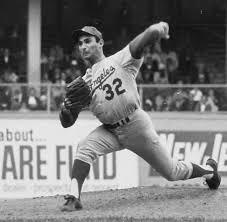 Like Greenberg and Rosen before him, injuries derailed Koufax career and he was forced to retire in 1966 at age thirty. That same year he had won a 27 games and posted a 1.74 ERA with 317 strikeouts. Talk about going out on top. Notable Jewish baseball players of the seventies included Ron Bloomberg, who was the first ever designed hitter. (The former overall number 1 pick of the New York Yankees also may have been the greatest high school athlete of all-time, having been a Parade first team All-American in football, baseball and basketball.) Pitcher Ken Holtzman and first baseman Mike “Super Jew” Epstein both played big roles in the Oakland A’s dynasty of the early seventies. In 1980 Jewish pitcher Steve Stone won 25 games for the Baltimore Orioles on his way to the American League Cy Young Award. Call it the curse of the Jewish ballplayers, but Stone developed a pretty serious case of tendinitis the next year and was forced to retire in 1982. 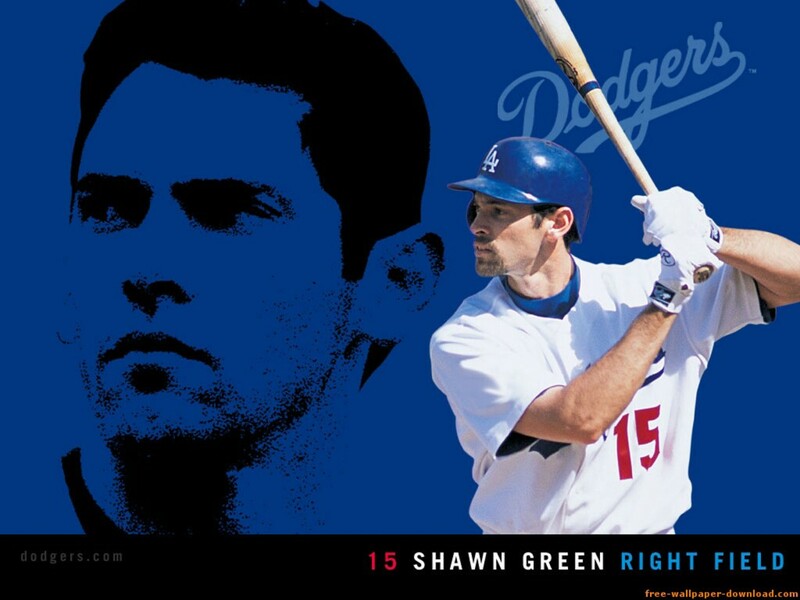 The best Jewish player of the nineties and into the twenty-first century was five tool outfielder Shawn Green. Playing mostly for the Toronto Blue Jays and Los Angeles Dodgers, Green racked up 2003 hits and 328 home runs over his career. He also continued two important Jewish baseball player traditions: he sometimes wouldn’t play on Yom Kippur, despite not being an observant Jew; and he also retired early, leaving the game at age thirty-four despite hitting .291 in his final season. If anything, the last decade has been the Golden Era of Jewish baseball players. Kevin Youkilis and Ian Kinsler are each three time all-stars, and Jewish players like Craig Breslow, Gabe Kapler, Mike Lieberthal, Brad Ausmus, Ike Davis, Scott Feldman and Jason Marquis have been valuable contributors to their teams. 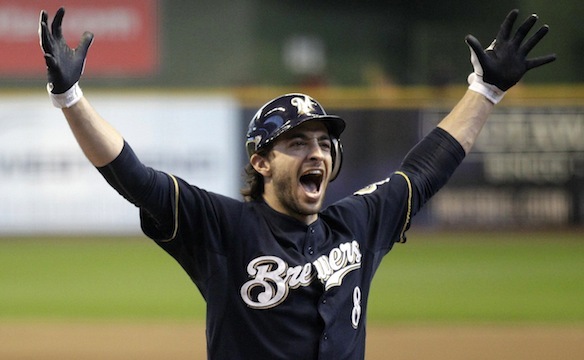 But by far the best Jewish baseball player of the last several years has been Milwaukee Brewer slugger and 2011 National League MVP Ryan Braun, who is one of the best players of his generation of any religious background.